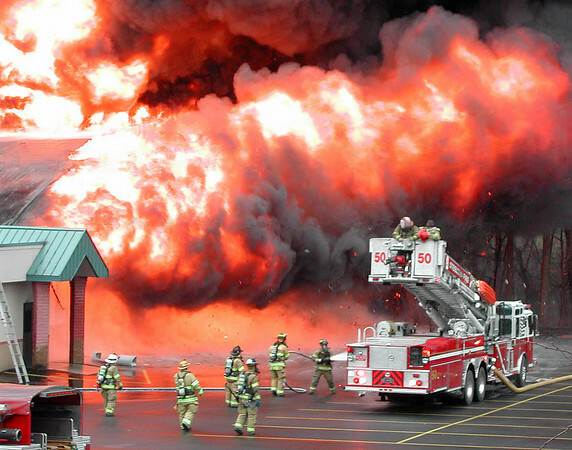 Awesome Photo.. Now thats some heavy fire!!!!! Just a bit... They raised the jacks and backed the truck up just like you see it. The 5 was not disconnected and there was some damge to the intake. A little radiant heat problem ?